Tempeh. Who knew it was so delicious? Well, not this guy until last night, which seems like a minor criminal offense for a foodie! My inspiration came from Katie Lee’s tweet proclaiming, “It’s a tempeh Tuesday at my house tonight….making a Tempeh Teriyaki Stir-Fry….yummmmm.” Indeed. 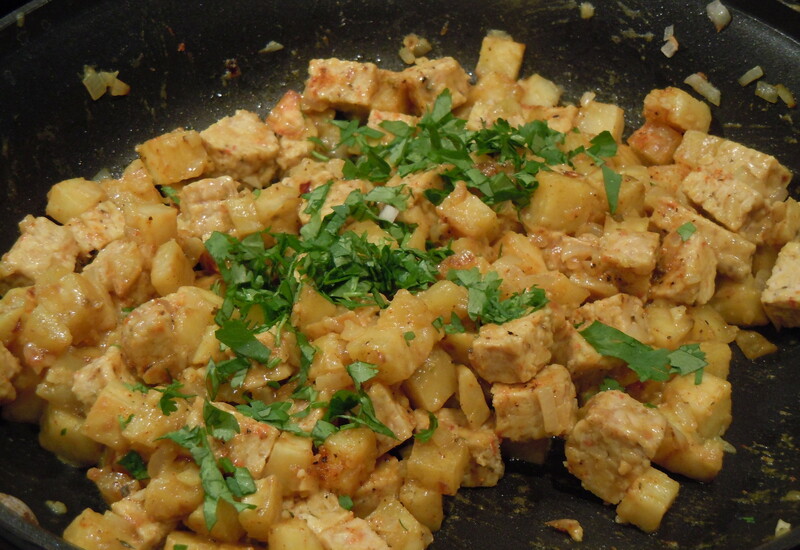 What about a Tempeh Tuesday Hashcapade at Chez Clark? 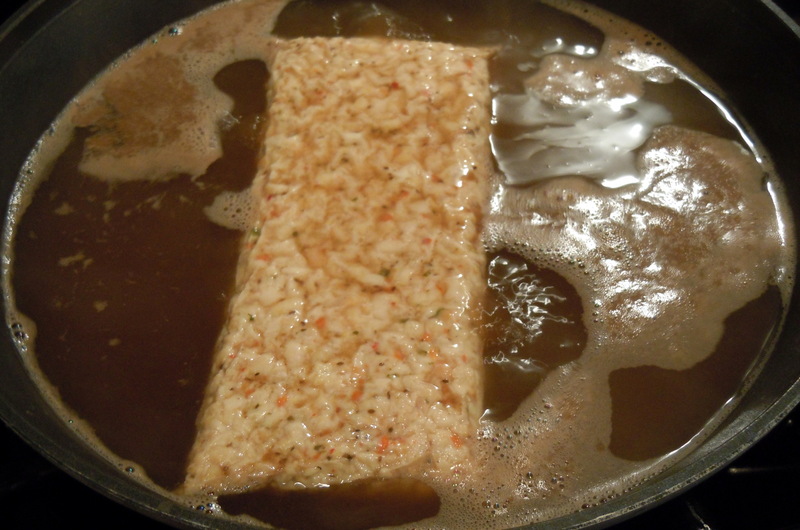 As a newbie, I had to do a little research on tempeh to figure out: 1) What is it? and 2) How is it prepared? I used to think it was some sort of cross between hemp and tabouleh – um, no thanks, I’ll eat cardboard! But a quick search revealed a rich heritage from its Indonesian origins as a cake of fermented, minimally processed soy beans. Ok, I now have a slight clue. Next? 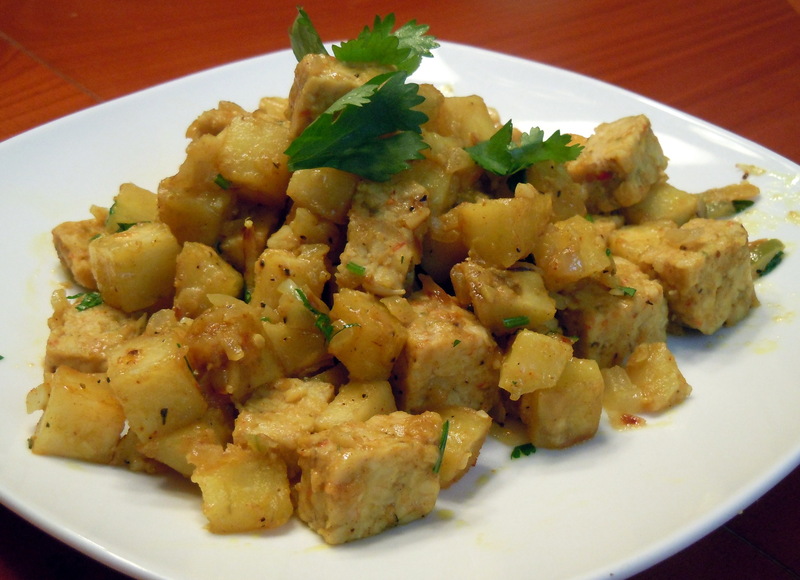 Tempeh is generally prepared by cutting it up, soaking it in a brine or other salty liquid and then frying it. Chili, stew, stir-fry, soup, and salad all play nicely with tempeh. Some people even grate it and use it like ground beef for tacos – holy frijoles! 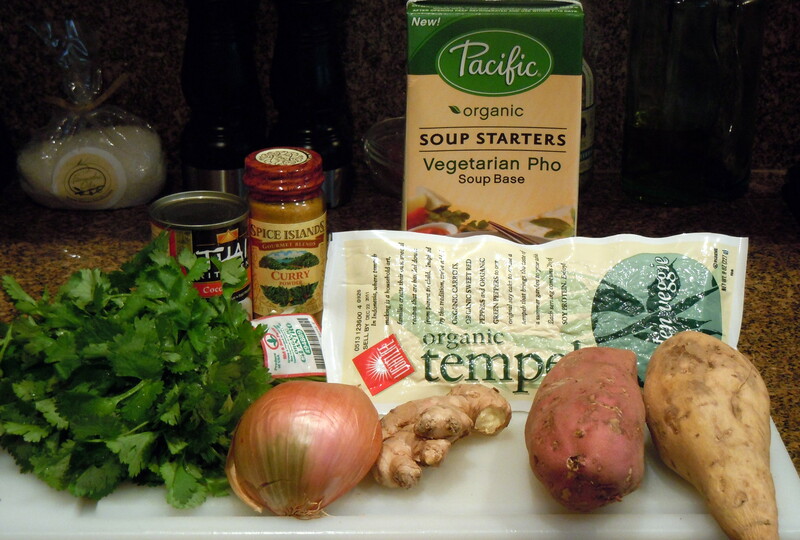 One comment in the VegWeb.com forum mentioned poaching the tempeh for 10 minutes or so in vegetable broth. Say, that sounds like a fabulous idea! Simple ingredients for Tempeh Tuesday. And so it was, but first I poached the tempeh for 10 minutes in Vegetarian Pho base. Why? It simply caught my eye on the shelf and Pacific Natural Foods is in my back yard, well in Tualatin. Locavore? Locapho? Whatever! Next, I diced the sweet potatoes and fried them in the pan for about 10 minutes before adding shallots, ginger and garlic and cooking for another 5 minutes. 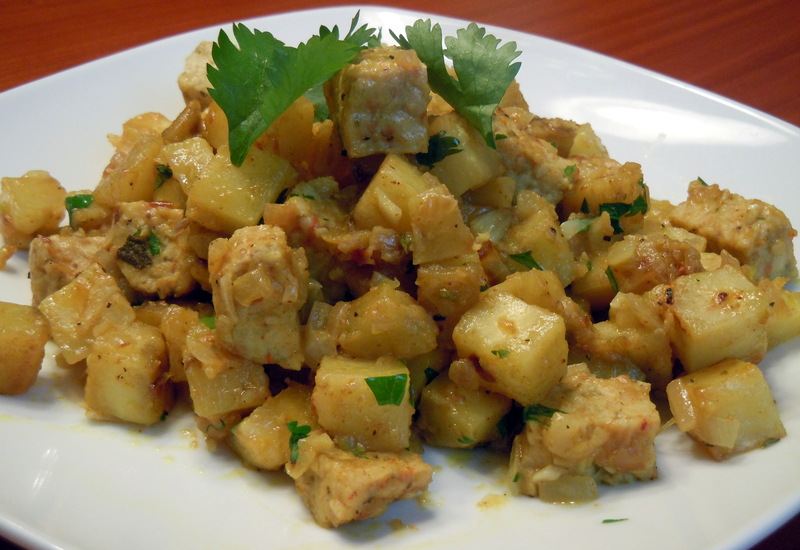 Finally, I added the diced tempeh, curry, coconut milk and cilantro and let it heat through for another 5 minutes and voila – Tempeh Tuesday! Poaching the tempeh for 10 minutes. This hash came together quickly and easily - yusss! So how did my first experiment with tempeh taste? Fabulous, if I do say so myself! The nutty, firm and dense texture was a pleasant surprise, reminding me of a crispy chicken dish I once had. Since tempeh soaks up the flavors, the pho and curry popped in my mouth next with a hint of ginger, shallot, coconut and cilantro – yum! When I make this again, I’ll use yams with orange to offset the tempeh’s beige hue or perhaps add another vegetable like kale or green beans for even more color. Let me know what you think – other variations? Favorite ways to prepare tempeh?